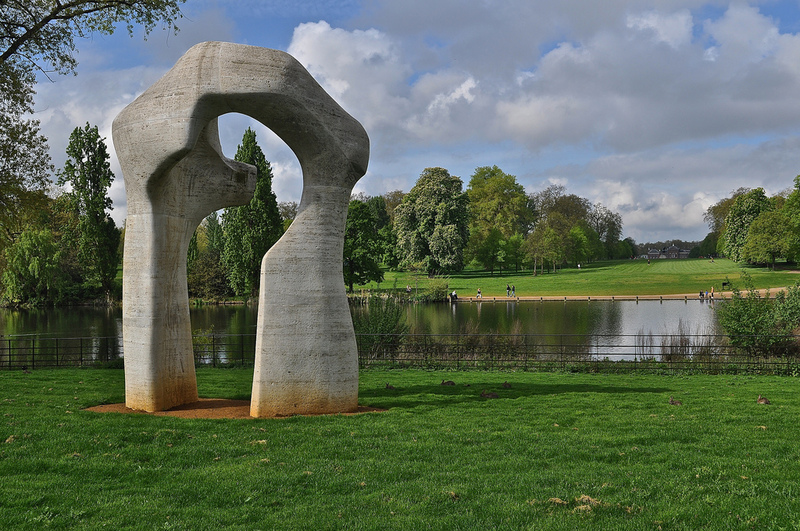 During a photo walk of Kensington Gardens, London, I chanced upon a stunningly positioned sculpture by Henry Moore hewn from Roman Travertine Marble. It is located at the end of one of the longest uninterrupted avenue vistas in London. 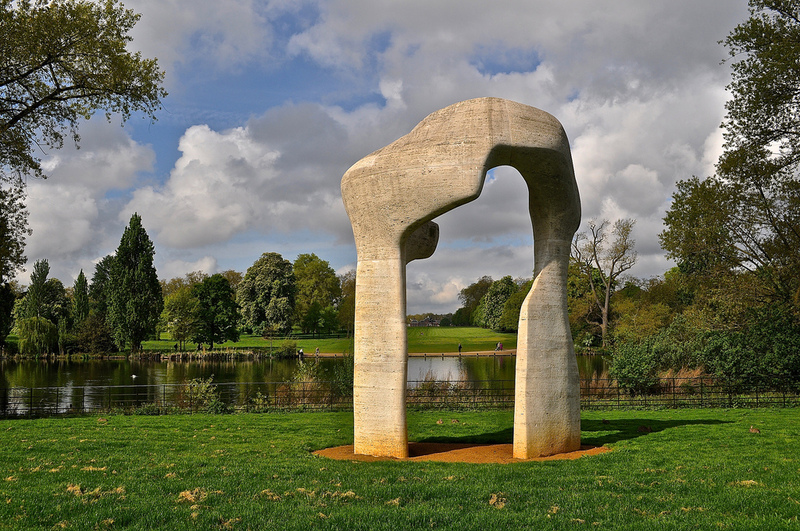 The Arch was inspired by life – in this instance, a fragment of bone – and epitomises for me Moore’s artistic philosophy, drawing inspiration from natural objects. 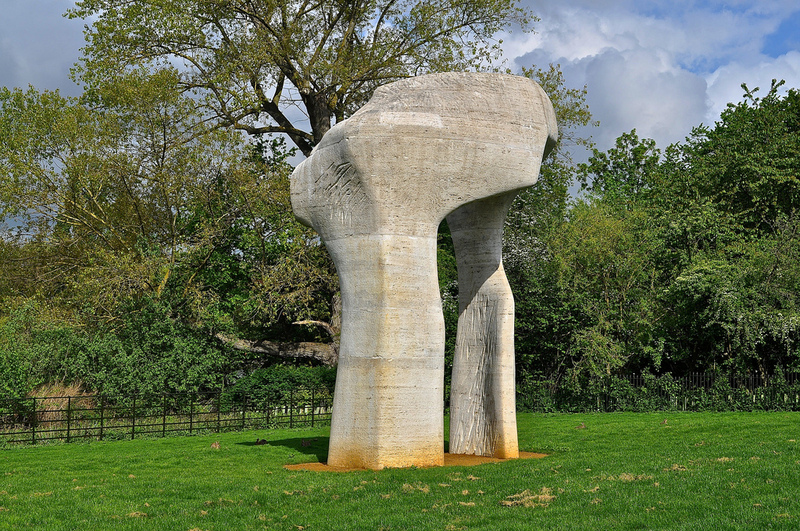 It also evokes comparisons with other monumental structures such as Stonehenge, another favourite of mine. 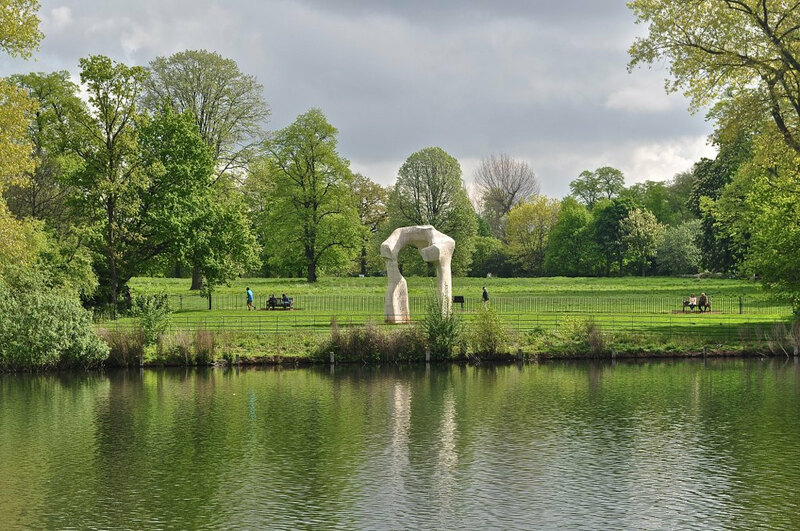 Originally created especially for Kensington Gardens following a major retrospective at the Serpentine Gallery in 1978, the artwork was restored in 1996, then repositioned in its original site. Kensington Gardens is one of eight Royal Parks located within London. Follow them on Facebook/Kensington Gardens, on Flickr and on YouTube. 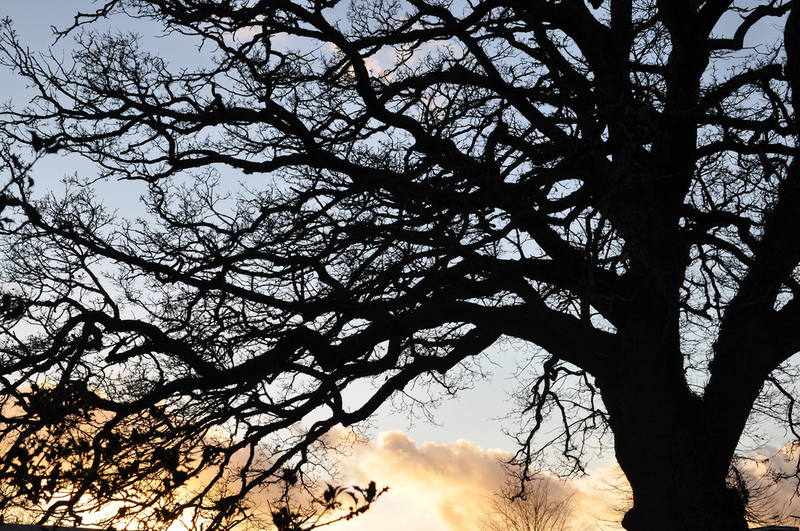 The Royal Parks Foundation is on Twitter @RPFoundation, on Facebook/The Royal Parks Foundation and on YouTube.